Stay safe Cardiff, and prepare for extreme weather conditions – experts in safety, Arco, is urging local businesses in Cardiff to prepare for the winter months now. 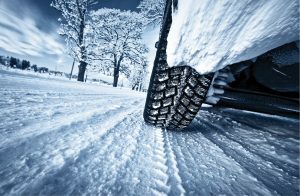 With reports of an increased risk of bad weather this winter, Arco recommends businesses to plan ahead with its expert advice sheets for business winter weather needs, including advice against flooding, effective salting and how to be weather warning aware. The series of Arco expert advice sheets can be found on the Arco dedicated winter webpage, including recommendations of essential workplace safety items such as grit bins, blue de-icing salt that is easier to see, salt spreading equipment, shovels, heaters and accessories. Arco also offers a downloadable, easy-to-use ‘Salt Calculator’ app, available from the App store or Google Play, that provides instant calculations for the quantity of salt required for each site, with personalised weather warnings that are tailored to your location. Being well prepared to deal with extreme weather events can save businesses time and money and will help maintain a safe working environment. 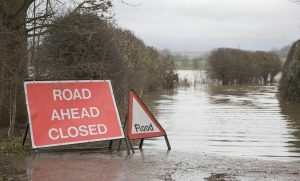 Flooding can cause a huge amount of damage, not only to the property and its contents but it can also affect safety and hygiene standards even after the water is pumped out. By taking early action most businesses can save between 20 – 90% on the cost of lost stock and equipment, according to the Environment Agency. 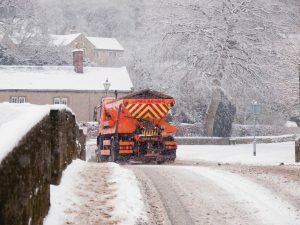 Salt is the most cost effective de-icer available to make roads, pavements and walkways safer as it reduces ice and adds as much grip to the surface as possible. Pre-salting will save time, money and injury. Arco recommends that businesses monitor the probability of extreme weather conditions and advises that they sign up to flood warning services and weather updates for their region. Warnings can give an indication on the likelihood of severe weather and the impact the conditions may have. It is important to be aware and be prepared. For more information contact the Cardiff, Dominion Way Trading Estate trade counter to discuss your requirements, or visit www.arco.co.uk/winter.